Health and safety of employees, clients and the public is of paramount importance to Marlin Services at all times, and we’re rightfully proud of our incident-free track record. 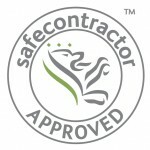 Every year we are independently accredited by the Safecontractor scheme, an extremely robust benchmark by which we measure all our operating practices. Marlin is also a member of RoSPA.